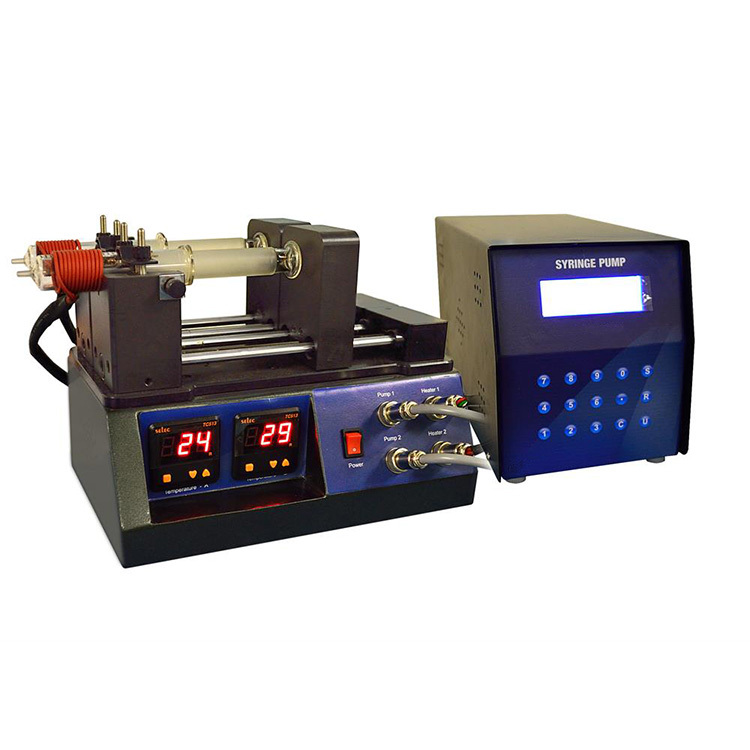 Electrospinning special high precision syringe pump is a single-channel perfusion syringe pump for the electrospinning industry, with one-piece structure. Excellent electromagnetic compatibility,and excellent anti-interference performance. 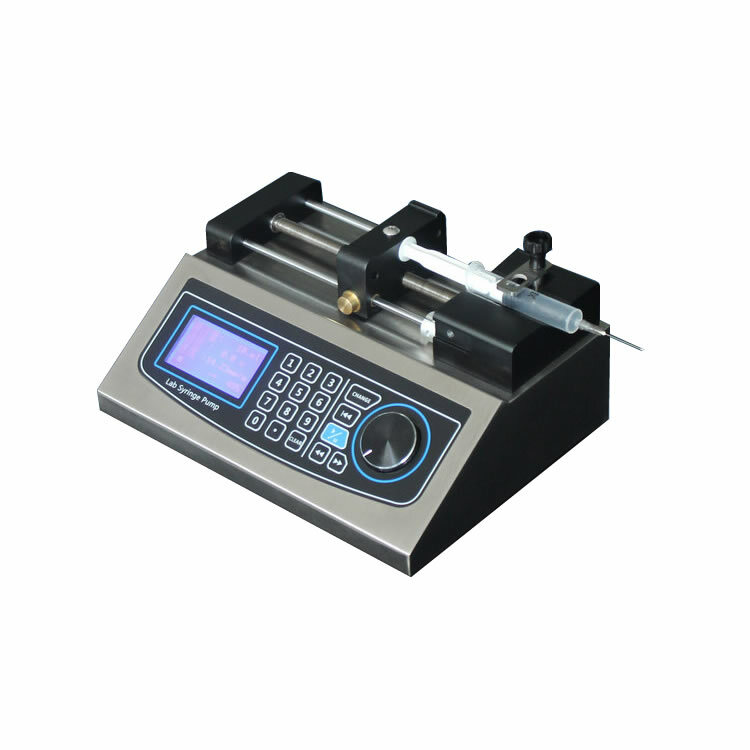 Electrospinning special high precision syringe pump can install different sizes of syringes (sample injectors), and the syringe pump is suitable for liquid transmission in high precision and small flow.The device is easy to use and simple to operate, and the parameter setting, modification and viewing of the fluid control can be completed on the main interface of the boot. When entering parameters, you can select the model and inner diameter of the syringe directly from the list, or enter it manually. 2. 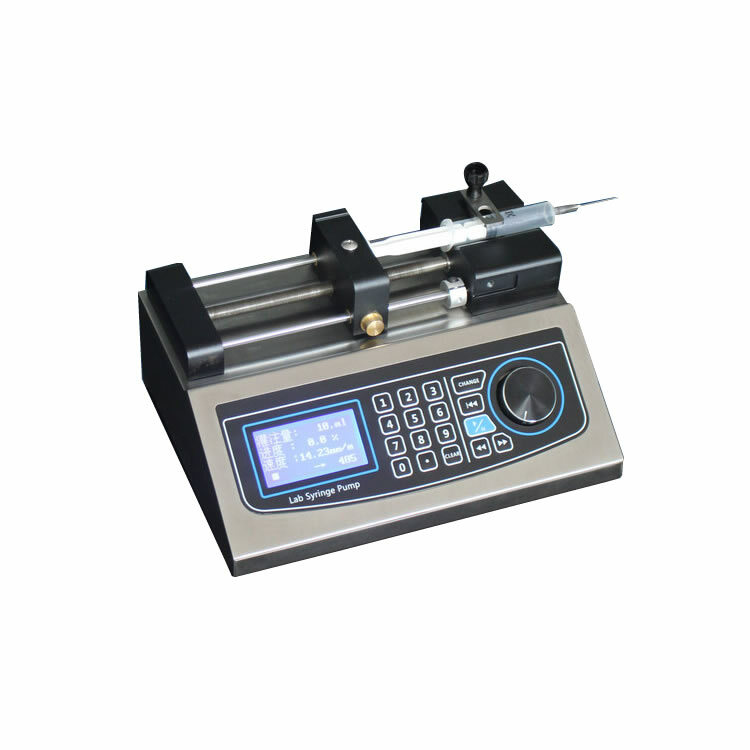 Syringe inner diameter input function: You can select the syringe from the list or directly input the inner diameter of the syringe. 3. 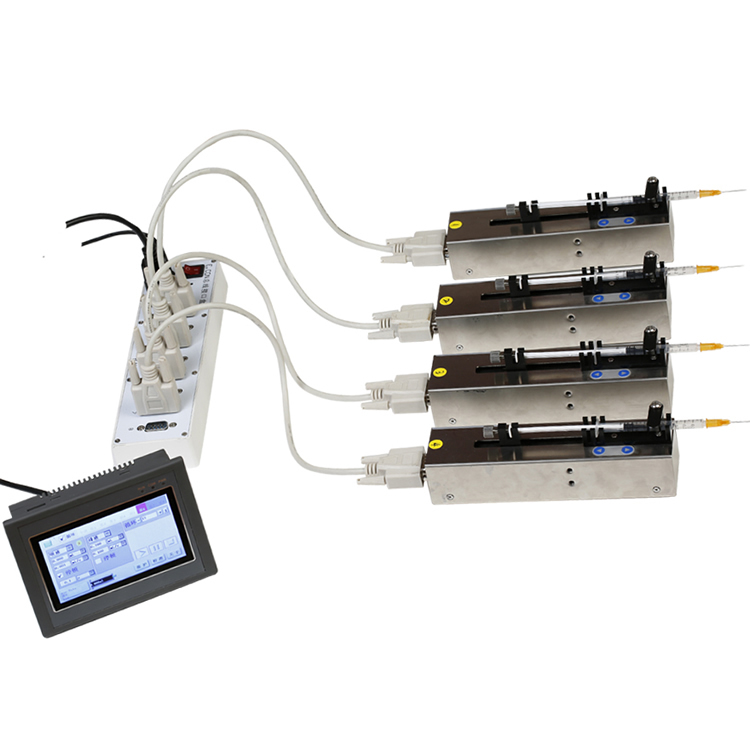 The micro-injection pump has a friendly man-machine interface: a large-screen liquid crystal display, and a digital knob for use with the membrane button, which is easy and quick to operate. 4. Working mode: Single push working mode. (1) The EEPROM saves the setting parameters and does not need to be reset after power-on. (2) When the power is running in the flow mode, the power is turned off. 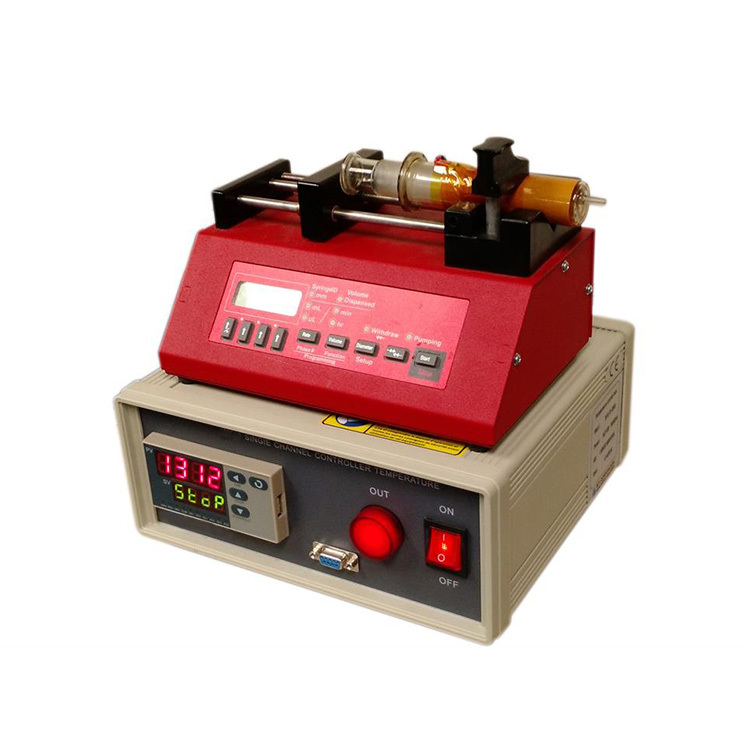 After the power is restored, the parameters can be continuously run or stopped according to the set parameters. 6. Protection function: The pump will stall and give an alarm when the drive structure of the pump is blocked. 7. The 485 communication bus can be connected to the host computer and controlled by the background software. 8. 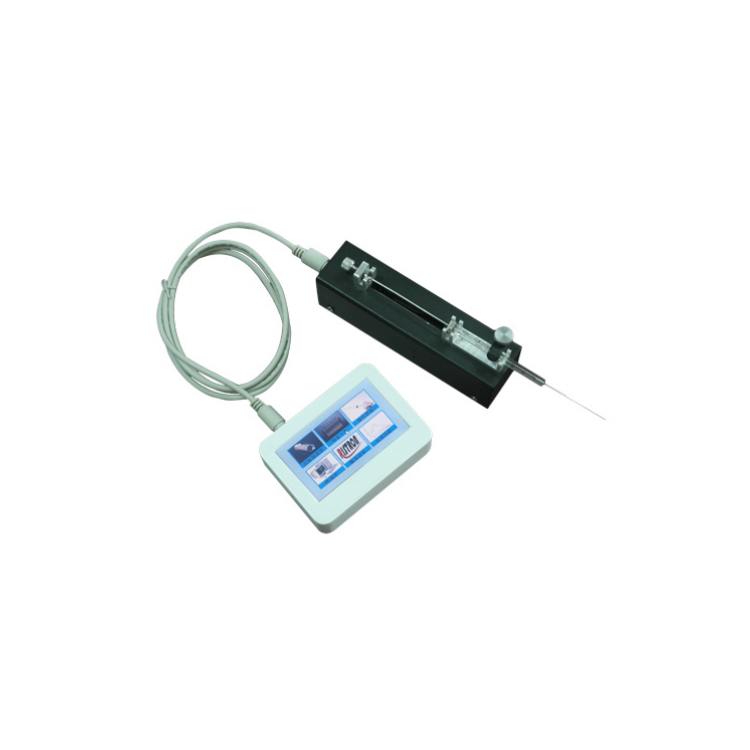 External control interface: with input/output control function. 9. 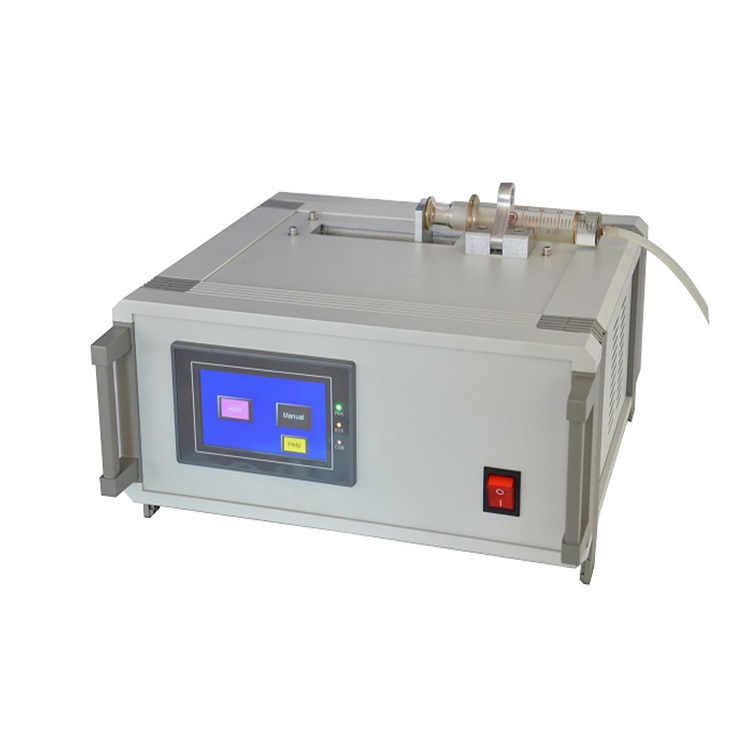 Calibration function: More accurate flow can be obtained through the calibration procedure. 10. 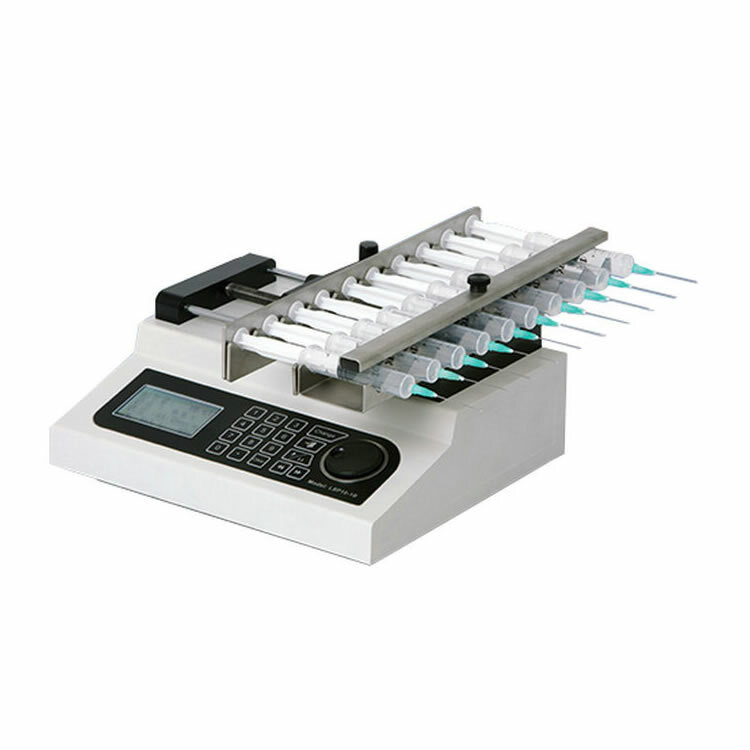 Syringe protection function: The syringe can be prevented from being damaged by adjusting the position of the limit block. 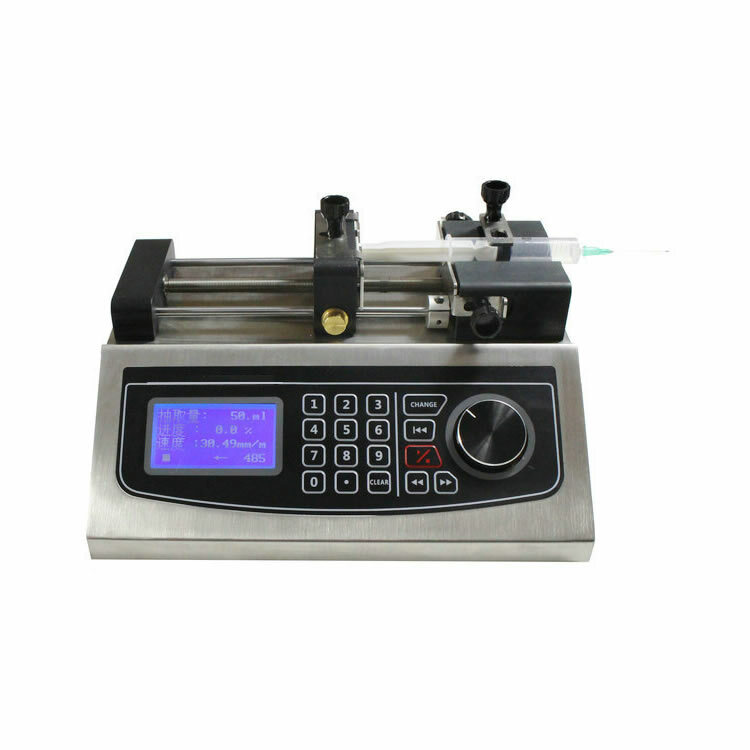 Dispensing liquid volume, injection time, etc. After power-on, you can choose whether to continue working according to the state before power off.